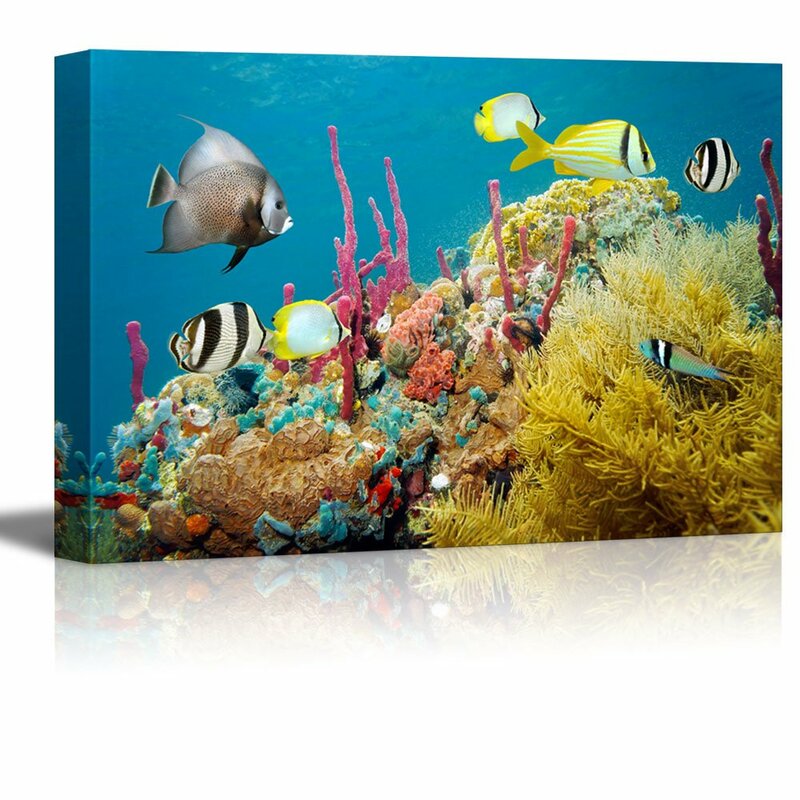 Wall26 - Canvas Prints Wall Art - Colored Underwater Marine Life in a Coral Reef with Tropical Fish, Caribbean Sea | Modern Wall Decor - 16" x 24"
Love it! Fits in well with my bathroom decore. Beautiful, same picture I’ve seen elsewhere for much more! Love it and is the perfect size for the spot. Looks great! It's a beautiful canvas print. I've ordered things before and been disappointed when I received them. Not the case here, you'll be impressed with the quality. Thanks! Beautiful vibrant picture. Good quality. Way bigger than I thought it would be. Which is a plus. Very vibrant and clear. Comes with everything you need to hang.